Last night, the Golden State Warriors won the Western Conference Finals 4-1 over the Houston Rockets. While I have not mentioned him on the blog before, Steph Curry has quickly become one of my favorite players. Enough that when Elton Brand retires, Steph Curry is going to be duking it out with Kevin Durant for my favorite player. So, in honor of the Warriors going to the NBA finals for the first time since 1975-76, I thought for today's Throwback Thursday I would look at the team MVP of the Warriors the last time they made it to the finals, Rick Barry. The 1975-76 Topps set is my favorite from the vintage era. (For the NBA, that's 1985-86 and earlier). It is nearly perfect, missing only cards of the coaches to be perfect. At 330 cards, it covers a majority of the players in the two leagues it covers, as well as League Leaders, two different team cards and a playoff recap for both the NBA and ABA. The latter would be absorbed by the NBA following 1975-76. 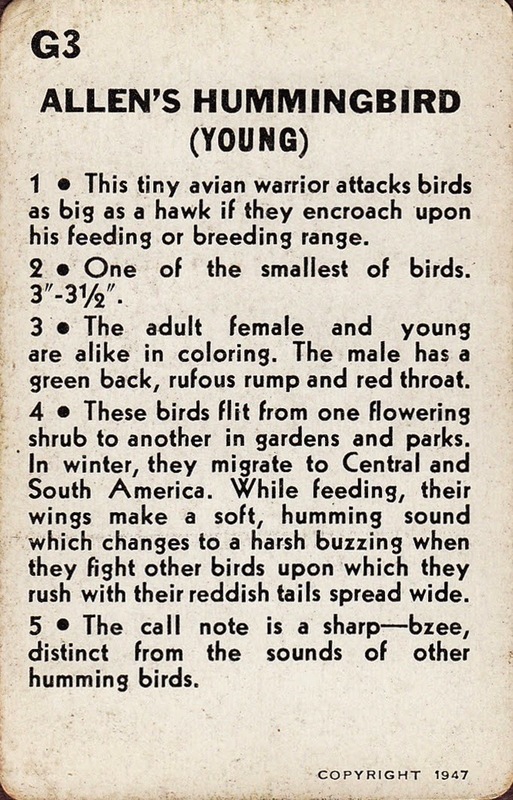 The card number is sometimes hard to read- dark blue over dark green over brown cardstock was not Topps' best idea- and in fact, on some of my cards, I had to use the checklist to determine which card number it was. It does not detract from my enjoyment of the set. 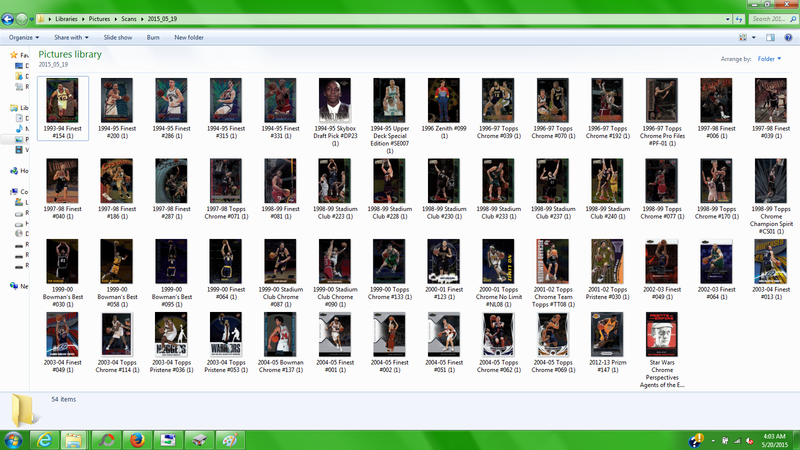 I completed the set in November 2002, although I'm not totally convinced my Moses Malone rookie card is not a reprint. Of course, I'm not totally sure it's not, either. 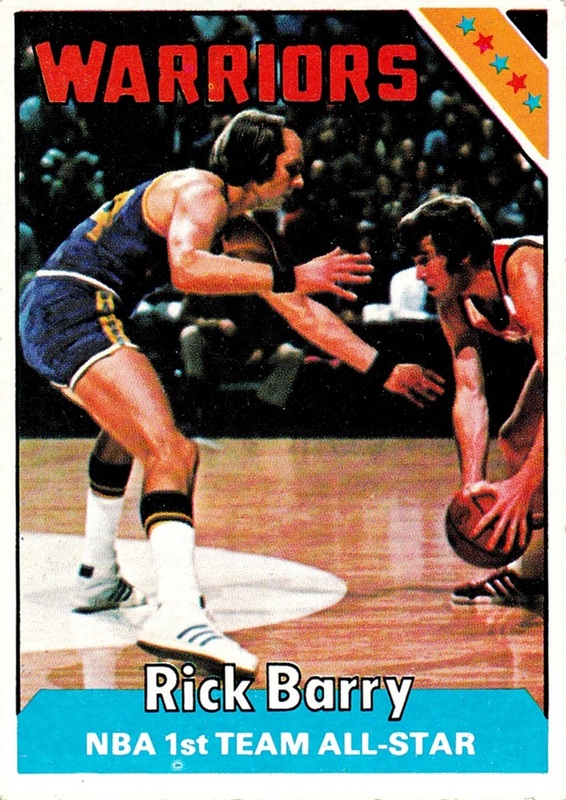 Rick Barry is the patriarch of the largest family in the world of NBA cards. He, as a Hall of Famer, has many cards. His sons Jon, Brent and Drew all played in the NBA, Drew only got college cards, however, no NBA cards were issued that I am aware of. 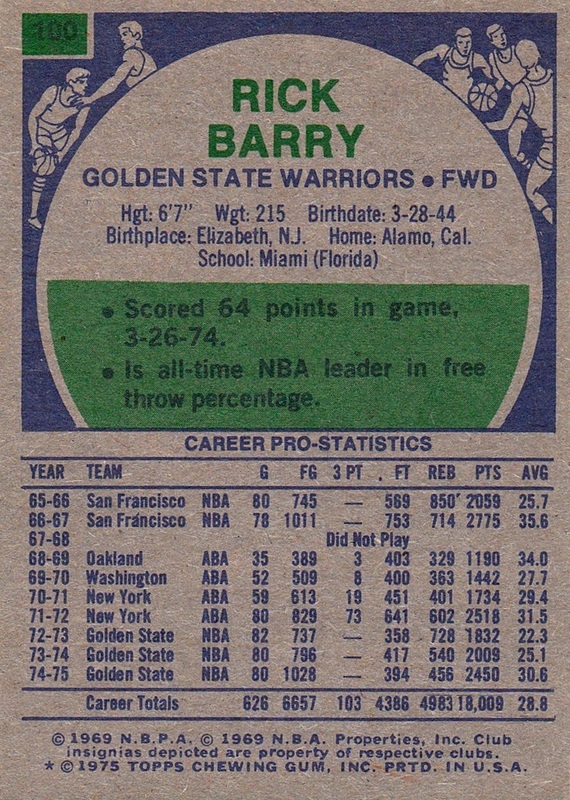 Rick Barry's father in law Bruce Hale also played in the NBA, and was included in the 1948 Bowman set, although I do not have the card in my collection. Brent is a broadcaster currently and in my opinion is an excellent broadcaster, actually a better broadcaster than he was a player. Jon also did broadcast work but I don't think he does anymore. Sometimes...the card companies try, but just don't quite get it right. They make errors, after all, they are run by humans, and we are not infallible, any of us. Michael Westbrook is a football player, they meant Russell Westbrook. 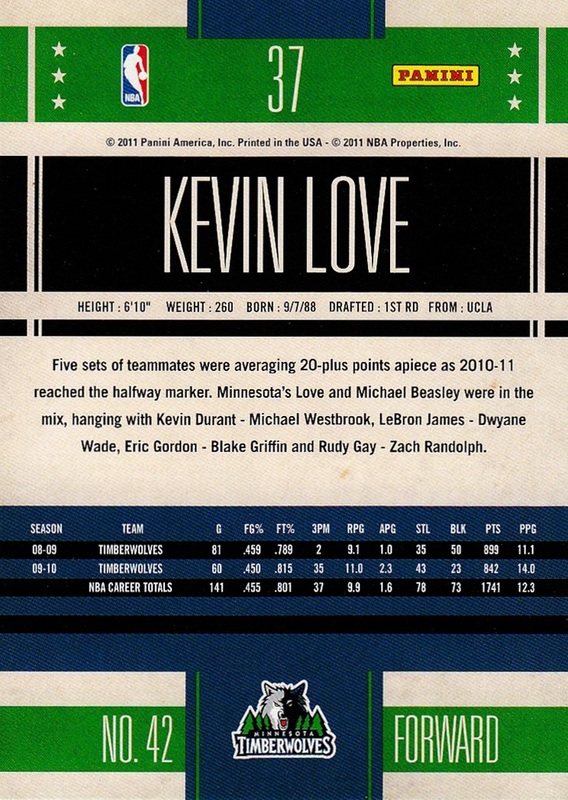 This card is from 2010-11 Classics. Ledo was apparently going to travel back in time, to join Dallas's rotation before he ever entered the NBA. 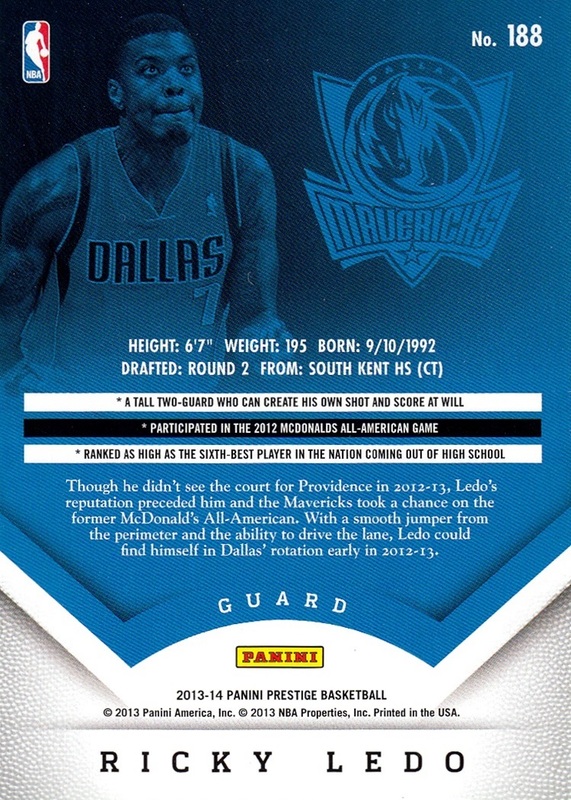 Of course, considering they thought Ledo would even MAKE Dallas's rotation may be more of an error! He did eventually make his way to the Knicks, and did find some playing time with them. 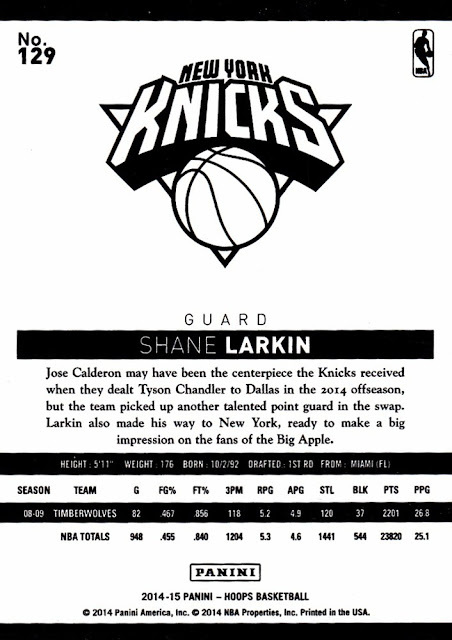 Larkin played his first season in the NBA with the Dallas Mavericks, not the Minnesota Timberwolves. For baseball fans reading this, yes, Shane is the son of Barry Larkin. Charlotte, North Carolina is not in the Western Conference. 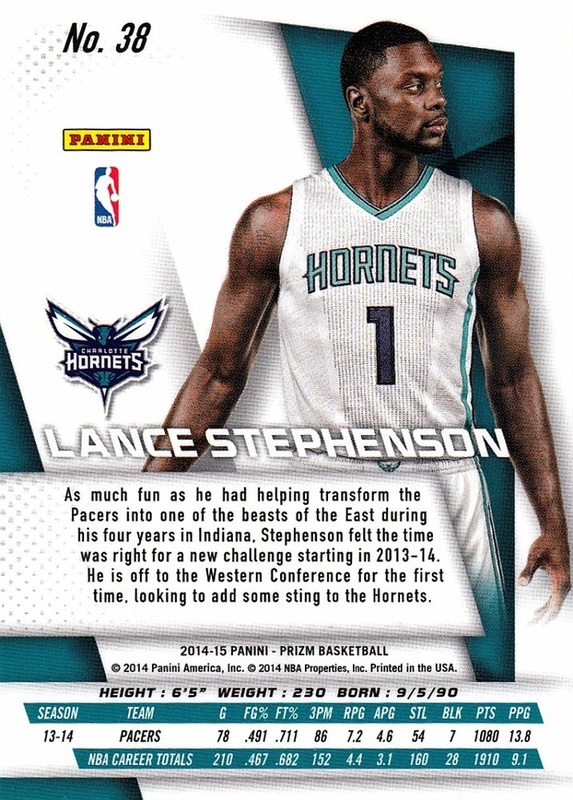 Perhaps Panini forgot that the Hornets used to be the Bobcats, and the team that used to be the Hornets- now the Pelicans for the last two years- IS in the Western Conference, despite being farther east than Eastern Conference teams, AND is not even the most eastern team in the Western Conference! I'm sure there are others I've missed. I recall a card stating someone was a rookie when they were in their second year but I can't remember which one it was. Imagine that: A blogger error! Also, I am missing more cards than I have from the Panini era, so I may simply have not seen them yet. I make no secret that NASCAR is my all time favorite form of motorsports. But I also love the Indy 500, and would watch the Indy car series more often if it didn't conflict with NASCAR. Indy cars have had a much longer history in trading cards than NASCAR or any other form of racing has, although I am missing more of the sets than I have. The first set that featured Indy drivers was, amazingly, issued in 1911, the year of the first Indy 500, although it covered multiple forms of racing. I've never seen a card from this set in person and only pictures of one card. 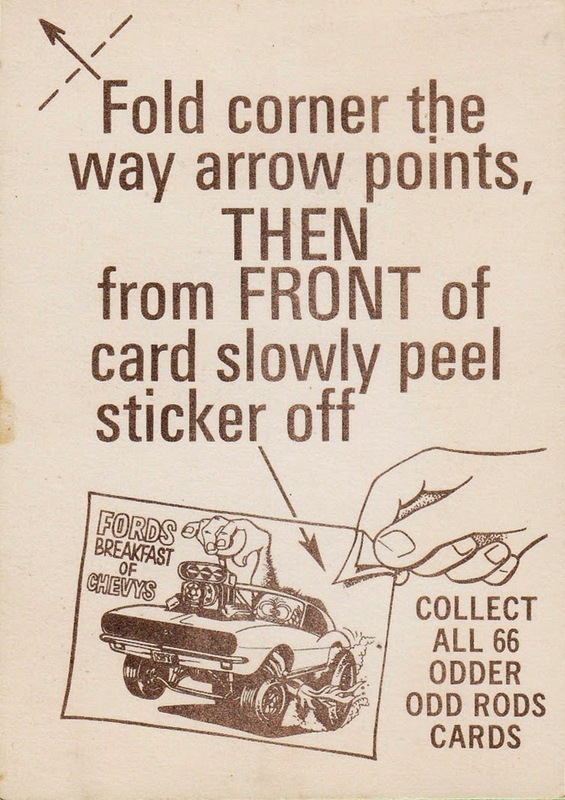 Indy got cards periodically in the 1960s through the mid-2000s, with A&S Racing producing the most sets, one annually from 1983 through 1987, although I don't have a single card from any of these sets. I have heard that they were the same company, restructured, that was known as All-World in 1991 and 1992, but I cannot confirm that. Here is a brief rundown of the card sets that ARE in my collection. If the names are clickable, you can see the entire set on the Database. 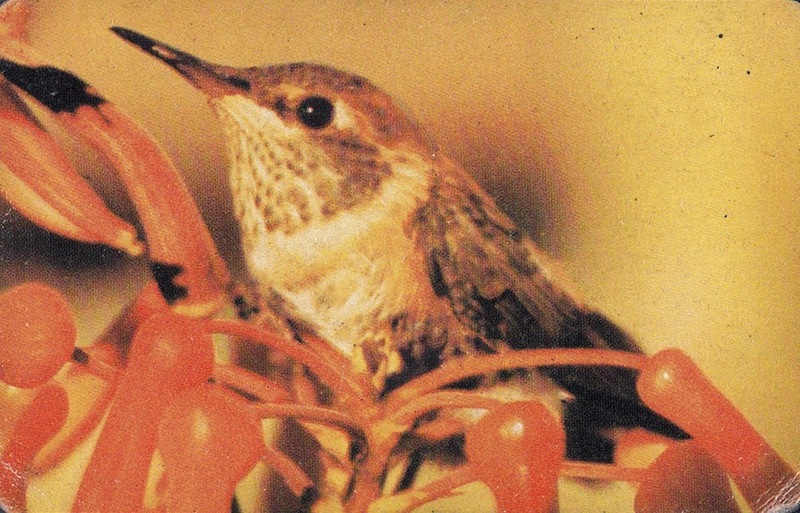 1991 All-World. A 100-card set, I have the complete set, which I got in factory set form. 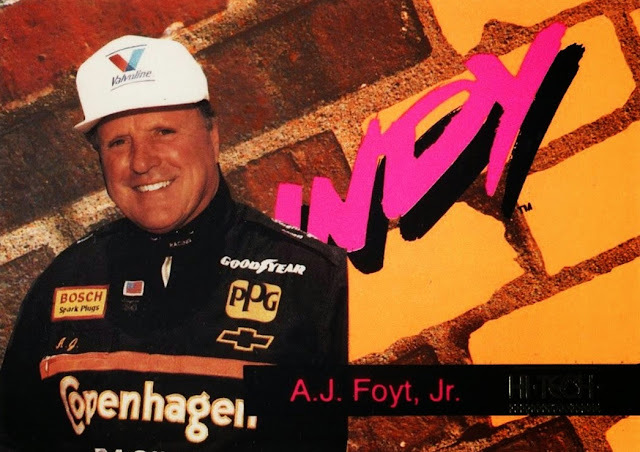 This set chronicles the 1990 season with a couple of cards set aside for historical coverage, several of them honoring drivers who had recently passed away. 1991 Collegiate Collection Legends of Indy A 101 card set, with one card only available by mail order, and significantly harder to find. (and the only one I am missing). This set chronicles the history of the Indy 500, with highlights of most years included. An excellent set. 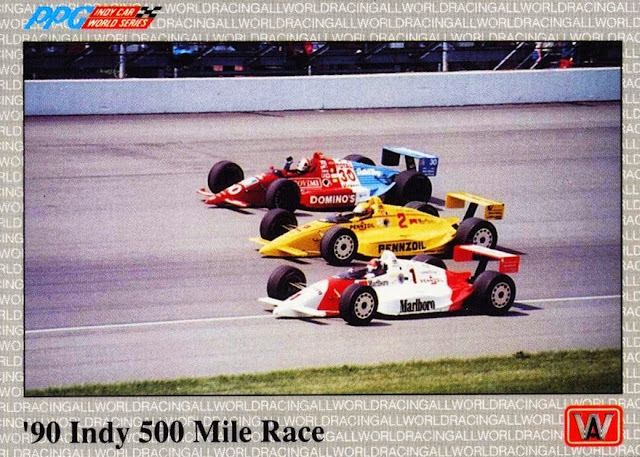 1992 All World Indy was also a 100-card set, but unlike the 1991 issue, this set focuses on driver photos only, with only one card in the set having race action- the checklist. It has a "Where are they now?" 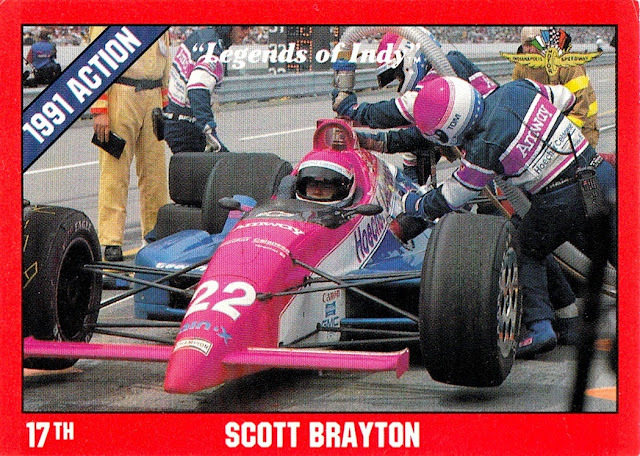 subset and was the first card set to include autograph of Indy drivers, although the autographs are simply one of the 1991 All-World cards that has been autographed, with no way to tell if it was pack issued or in person autographed. I pulled Tony Bettenhausen from my box. I have the complete base set. There is also a version of this set with French text, I do not know if it was issued for France or Canada. I was given several packs of them but the cards have all fused into bricks, unfortunately. 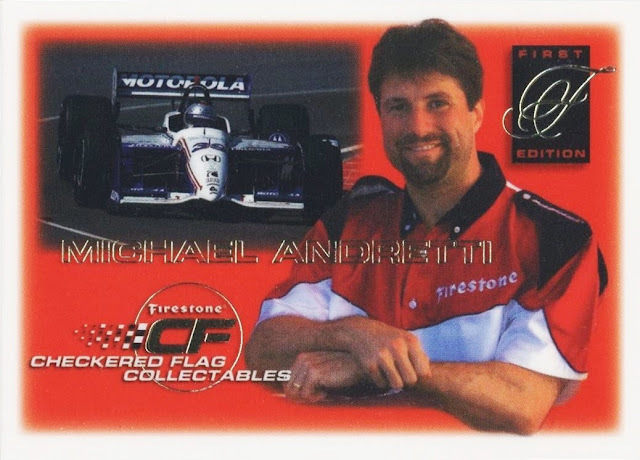 1992 Collect-A-Card Andretti Family Racing. Collect-A-Card's only foray into auto racing, this set chronicles the career of the 4 racing Andrettis (Mario, Michael, John, Jeff) who were active by 1992. It is not solely Indy cars, but covers all the forms of racing the Andrettis took part in. However, as Indy cars take up the majority of the set, I class it as an Indy set. It's a set I wish I had chased more when they were available. I have only 37 of the cards. 1992 Hi-Tech. I have never been able to find out anything about this card. There is as near as I can tell no known reference to this set online. I suspect it may be some sort of promo or prototype. Hi-Tech issued sets almost solely based on Indianapolis Motor Speedway from 1992 through 1997. This card has no number. I cannot remember where I got it, I've had it so long. 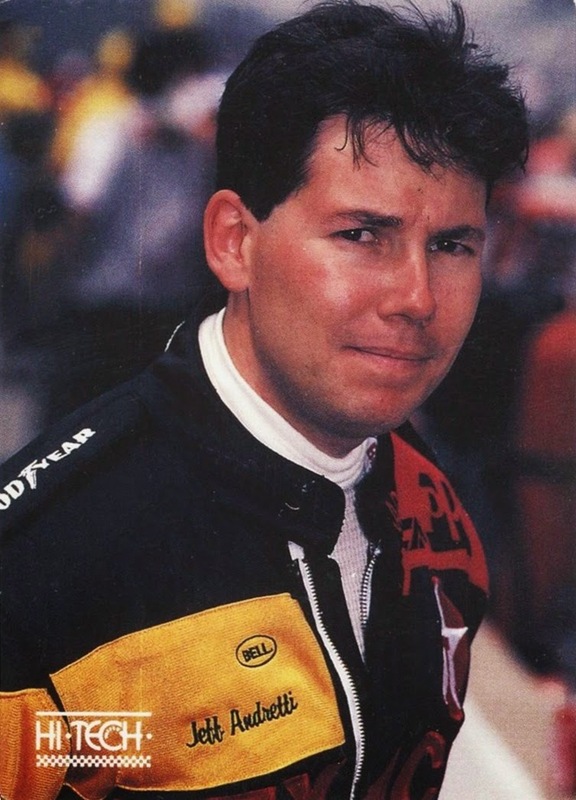 It depicts Jeff Andretti. 1992 Collegiate Collection Legends of Indy. This 100 card set features bright red borders, and is significantly different from the 1991 set. 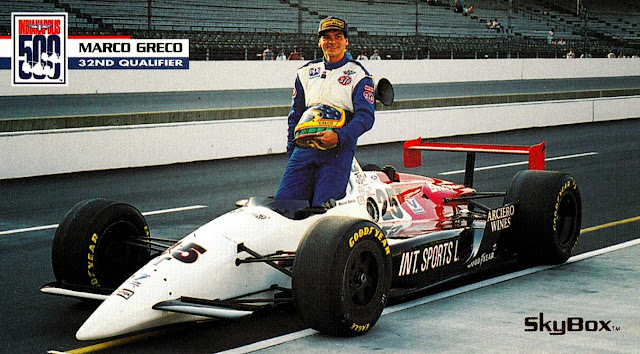 While the '91 set is about the history of the race and track, the 1992 set is split into three basic themes- a look back at the 1991 Indy 500, including shots of each car and race action, a look at the pace cars throughout the years, and also some general Indy history. 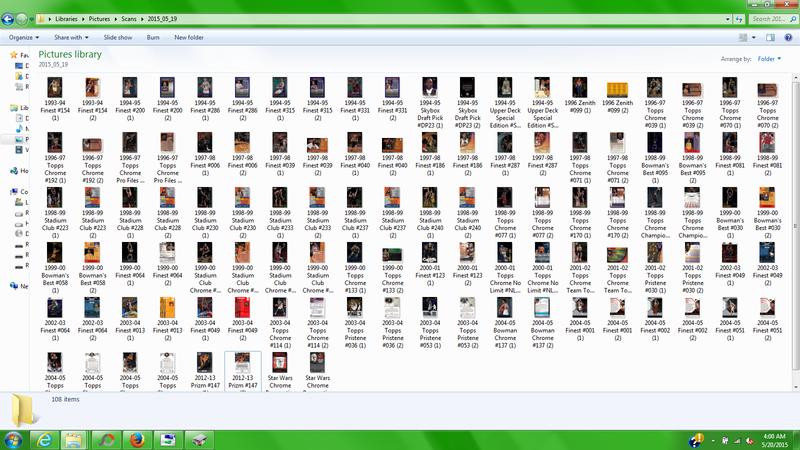 I have 41 of the 100 cards. 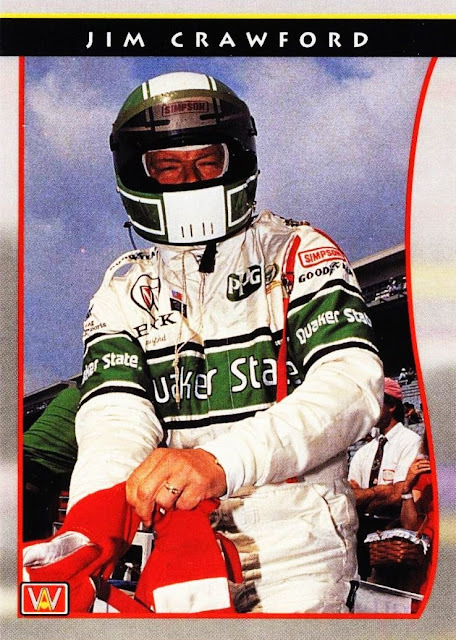 1993 Hi Tech Indy 500 was an 81 card set. Half of them featured action photos, and the other half featured a usually staged but sometimes cropped photo of the driver in front of a brick design with a neon pink Indy design. Because it was 1993, of course! I have 11 of the cards in this set. 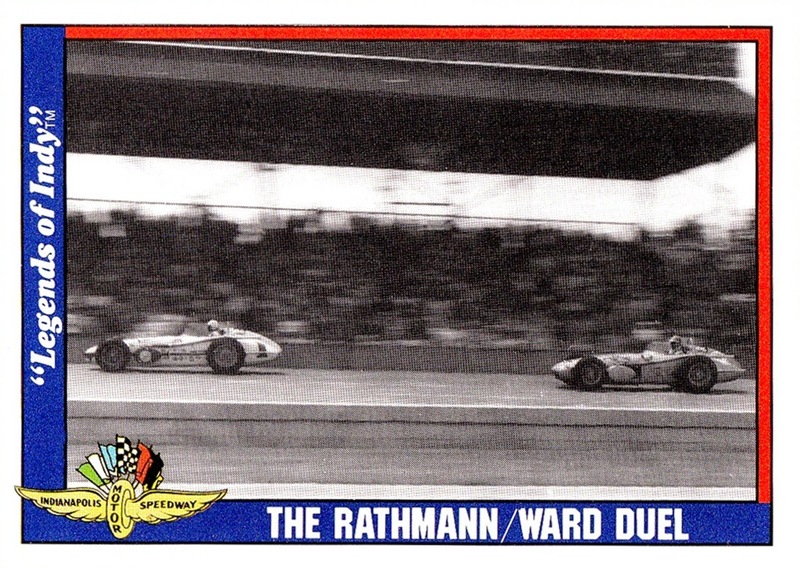 1995 Skybox Indy 500 is a 112 card set, made up of the "Tall boy" style cards that are so hard to store. (I am not a fan of them in any sport or non-sport issue). It features photos of each car, driver, and race action. The oversize cards do lead to large, clear photos however. I have only 12 of the 112 cards. 2001 Checkered Flag Collectibles was a 2 card set consisting of Mario and Michael Andretti. It appears they were issued in some sort of partnership with Firestone. These are thick, well-made cards that are very similar in texture and production quality as early Flair cards. I have both of them. And finally we come to the last card in this rundown, and the easiest set to complete...as it consists of only one card! 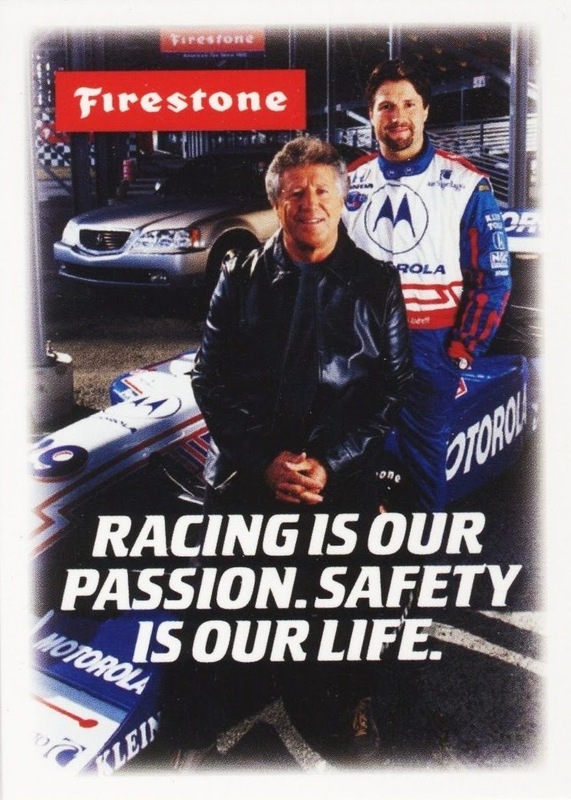 A Firestone promo from 2002, it too features the father and son combo of Mario and Michael Andretti. I could swear that I had at least a couple of cards from the 1997 Hi Tech set, but I can't find the scans of them if I do. 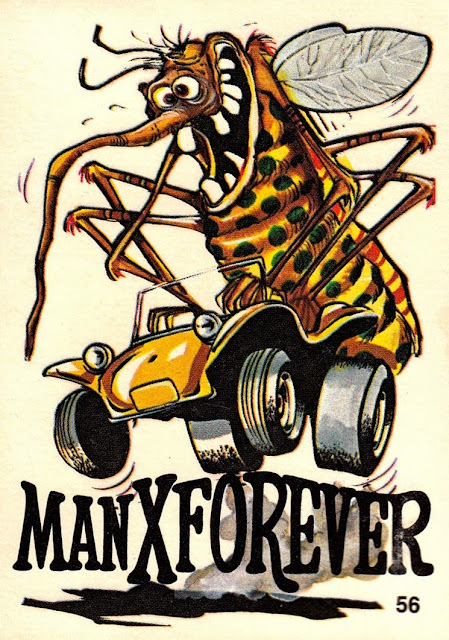 I may have thought I had both, as the Indy and drag sets from Hi Tech shared similar designs that year. 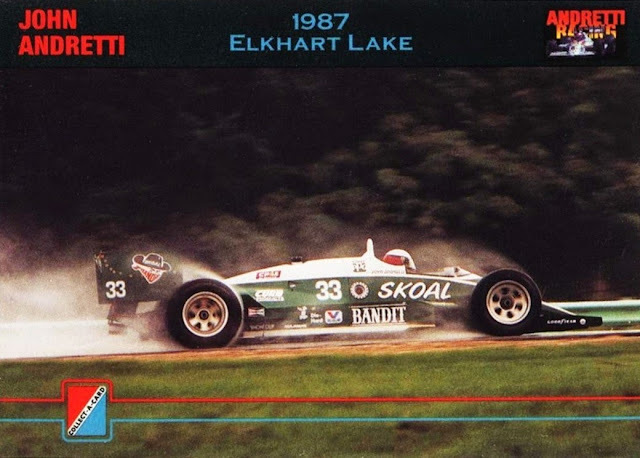 There are other sets that include Indy drivers and cars, but mostly featured other forms of racing with a few Indy drivers shoehorned in- notably the Press Pass Legends issues. Again, this is not a comprehensive listing, just a look at what I have in my collection. As I finish typing this, there are 15 laps left of the 99th Indy 500. Enjoy the rest of the race! So why the heck did I just scan 5 consecutive pages of Chrome cards and top it off with a page of mirror foils, too? I don't know. But I do know I'm NOT going to sort the next box before I start scanning it, putting off the Chromes and foils to the end. I still have lots of mirror foils waiting...but they will continue to wait. As I progress through scanning the box, each time I hit 9 Chrome/Finest/Bowman's Best cards I will do a page of them. At least, that's the theory. Knowing me, I may not actually stick to that. Well, at least I do know why I did the page of mirror foils. I received a RAOK in the mail that included several of the 1998-99 Stadium Club Transactions subset cards and I wanted to get them scanned so I could post them to the Database when I add them to my collection listing on there. So at least there's a reason for some of it! Here is a screen cap of the cards I just scanned and edited. It was made somewhat better by the fact that I did a page and a half before I went to bed, and did the rest later. Not much better...but somewhat. I was originally going to lead off with this screencap, but to fit everything onto one screen, they are barely visible at all. Can you spot the error I made in labeling? Hint: It's been corrected by time I screencapped the above image. 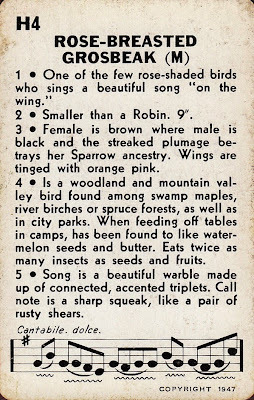 Remember, you can click on images to see them larger. As you might be able to tell, this box I was working on was heavy on Michael Jordan, Richard Hamilton, Kobe Bryant and Nick Van Exel. My collection is sorted somewhat by player at the moment, although I kind of tried to mix it up some when I sorted the entire collection (or at least what I was able to find at the time) in December 2013. Now that I've moved past these, I am working on scanning the non-foil 1998-99 Stadium Club cards that I also got in the mail, back to editing! Another Throwback Thursday has come around, and it seems lately that is all I am able to get posted. I have many topics I want to cover but finding the motivation has not always been easy. It doesn't help that I've been sick again. 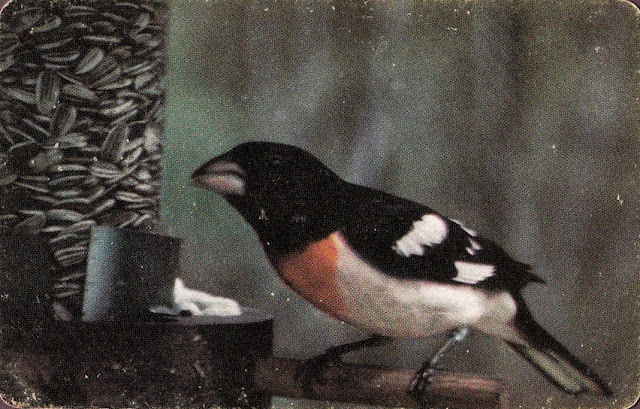 Anyway, today's Throwback Thursday post is a bit of an oddball- by nature. I found this at my local vintage dealer and had to have it. It's actually a sticker, but it's card shaped and sized so I count it as part of my card collection. Close enough. All 66 in the set share the same card back. Certainly odd, but in a set called Odder Odd Rods, that can only be expected! I actually remembered Throwback Thursday on Thursday, imagine that. Today I am going to take a different approach and post some cards I really don't know much about. 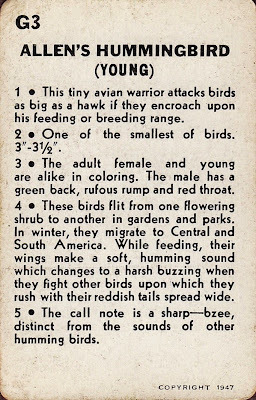 I found these at my local vintage dealer, and, as a fan of birds and cards, I brought them home. I don't know what set they are from, or a checklist for the set, of course. I don't even know what company made them. Any ID help would be appreciated. They are the same length as a normal card, but not as wide. They are slightly larger than the old 1990s phone card inserts were. The corers are rounded. We spend much time working on our blogs. We want people to read them, or else we wouldn't spend the time to create them, no? I have a new idea to get more people reading blogs. I have created a group on Facebook called "Trading Card Bloggers". Promote your trading card blogs (or post links to ones you find interesting). All sports and non-sports welcome. Chat about trading cards and blogging about cards. Now, currently I am the only blogger who is a member...I'd like to change that. If you have a Facebook page, please join the group and post about your blog. Ideally word of mouth will spread and we will eventually be able to find blogs and/or posts that we would otherwise have missed. 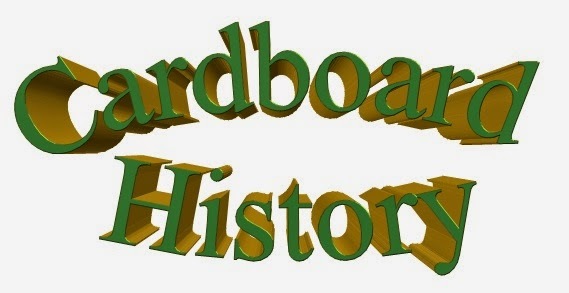 Of course, if you want to talk about the subject of the cards as well (Mainly sports, I know) that would be welcome too. I spend most of every day on my computer so there should be no more than an 8 hour lag at most if you request to join right after I go to sleep. Thanks for reading, and hopefully this will take off!